It’s almost Thanksgiving – do you know what you’re making yet? 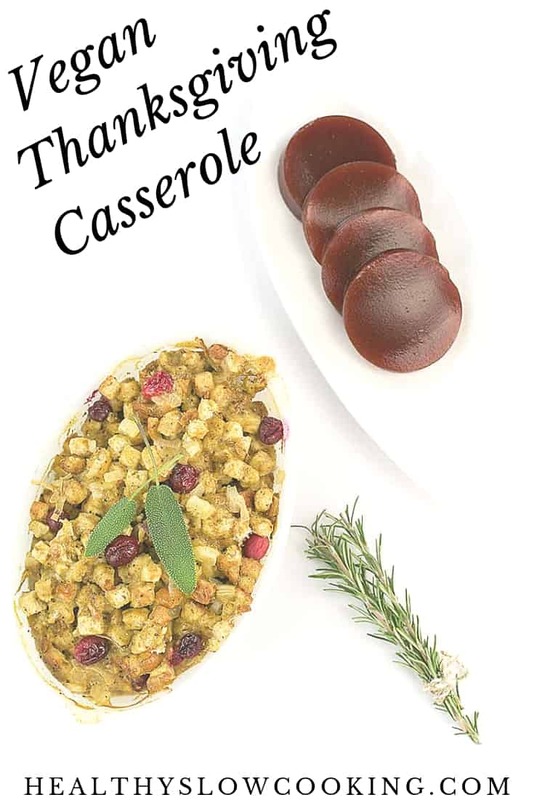 If you don’t feel like cooking all day, but want all the flavors of the holiday make my Vegan Thanksgiving Casserole and Gravy. This is also a great Tday recipe to bring with you if you’re going to someone else’s house for the holiday. It’s something non-vegans will enjoy and that way you will have something other than sides to eat. I love how versatile this casserole is. You can use a can of chickpeas that’s in your pantry right now, reconstituted soy curls, tempeh, or even some seitan. Not a fan of broccoli? Use a frozen mix veg with corn, peas, and carrots in place of the California mix. Of course, you can always use fresh chopped veggies instead. Be careful when shopping for bags of stuffing because many have chicken or dairy in them. 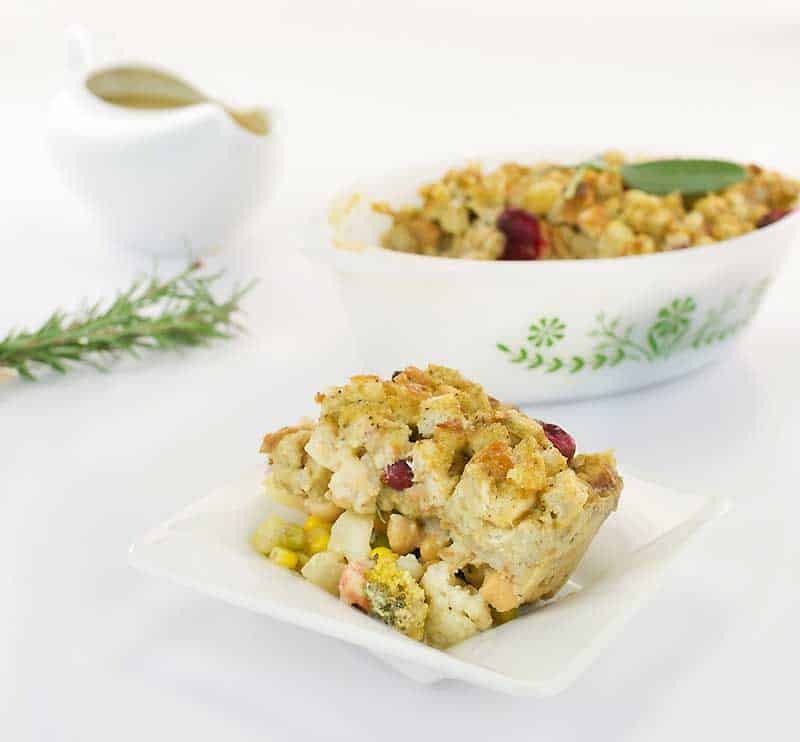 Gluten-free stuffing often has egg or dairy in them. So make sure to read the labels. You can make your own stuffing by using stale bread. 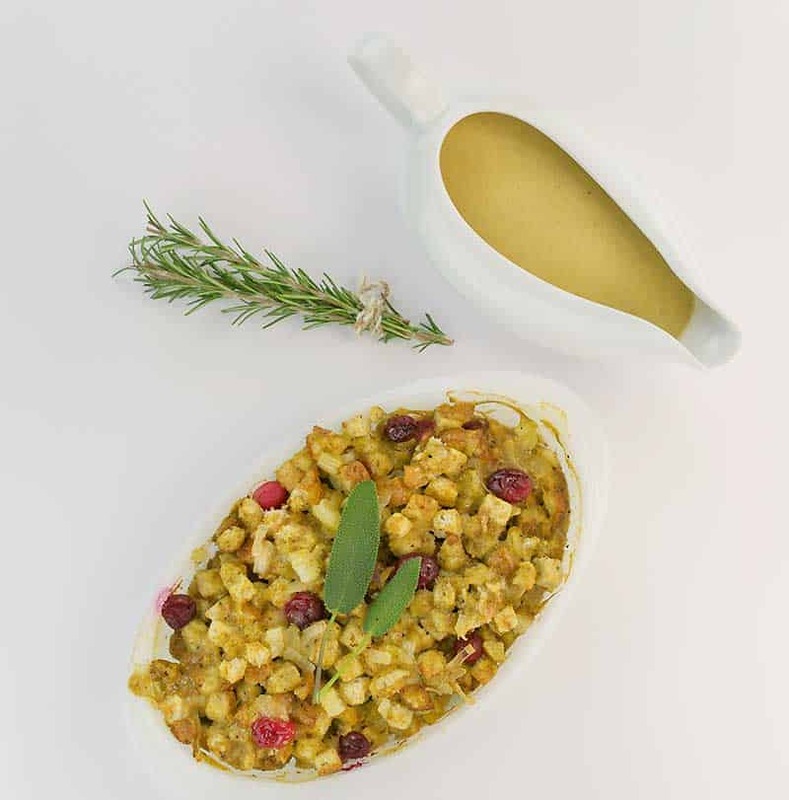 Here’s Minimalist Baker’s Vegan Stuffing recipe for you to look at. 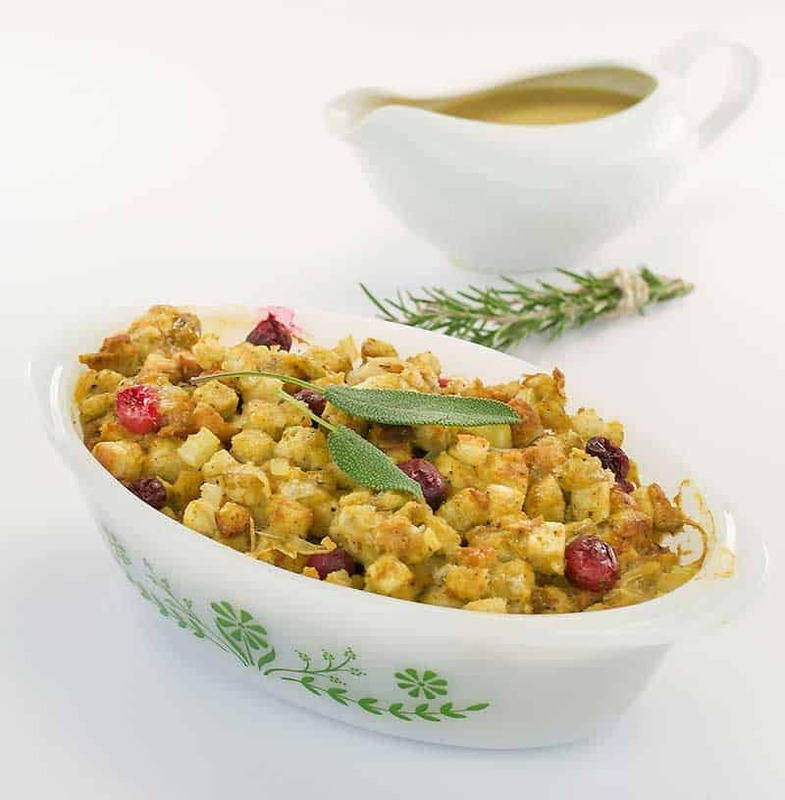 I always buy an extra bag of vegan stuffing around the holidays to stash in my pantry for this dish. It reminds me of a casserole my mom used to make that was topped with a layer of dressing. Underneath was a creamy filling. I use veggies and a vegan protein for that layer in my casserole. Preheat the oven to 350°F (177°C) and either oil an 8.5" x 11" (21 x 28 cm) pan or ***line with parchment paper. Cook the stuffing according to the directions on the package (***leave out the oil for oil-free). Set aside to cool. Spread the mixed vegetables, peas, corn and protein of your choice evenly across the pan. One by one, measure out the herbs, salt and pepper and sprinkle over the pan. Top the veggies with gravy as evenly as you can, then put the stuffing on top. Cover with foil, place pan on a baking sheet to catch drips and bake for 45 minutes. Uncover, then bake for 15 more minutes. Serve with extra gravy on the side if you'd like. You can use your favorite vegan gravy recipe, but the one below is my go-to. There are plenty of store-bought versions you can use too, just be aware that they may have a lot of salt so you’ll need to adjust seasonings to taste. There was a time when I always made my gravy from a prepackaged vegan mix. It takes about the same amount of time to make your own, and it’s dirt cheap. You can make a plain gravy to spoon over your garlic rosemary mashed potatoes or a jazzier one with herbs to pour over food that’s simple. Heat a large sauté pan (enough to hold 4 cups [0.95 L] of liquid and still have a little room) over medium heat. Add the flour and sauté until it gets just a shade darker, about 3 to 4 minutes. 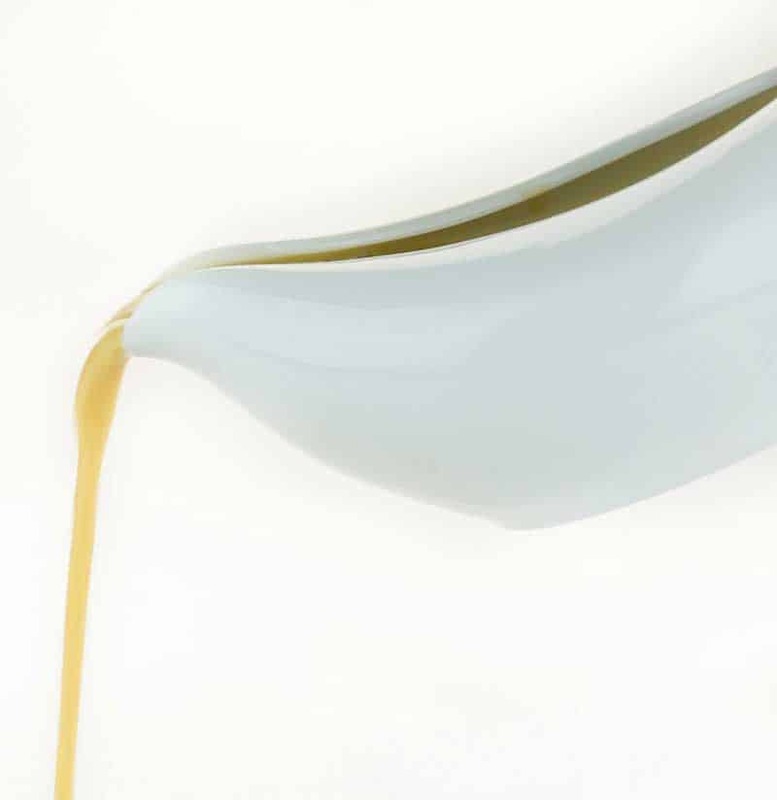 Slowly whisk in the broth about ½ cup (118 ml) at a time. Once it is incorporated, add ½ cup (118 ml) nondairy milk at a time, whisking constantly. Turn the heat up to medium-high and let the sauce reduce and get thick. Whisk often. It will take about 20 to 30 minutes to thicken up. 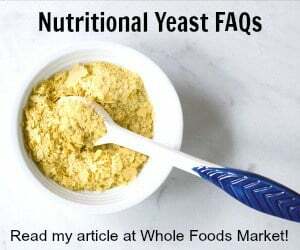 Once it’s almost as thick as you’d like, take it off the heat and whisk in the nutritional yeast, salt and pepper plus any extra herbs you’d like to add in. It will continue to thicken until it cools. TIP: You can hurry this gravy along by turning the heat to high after all the milk is added. Keep on high until the mixture almost begins to boil, then lower the heat to medium-high. Be sure to watch it like a hawk and whisk often. Maple Spiced Hot Toddy – Perfect for Fall! I think it would be safer to assemble once you get there.